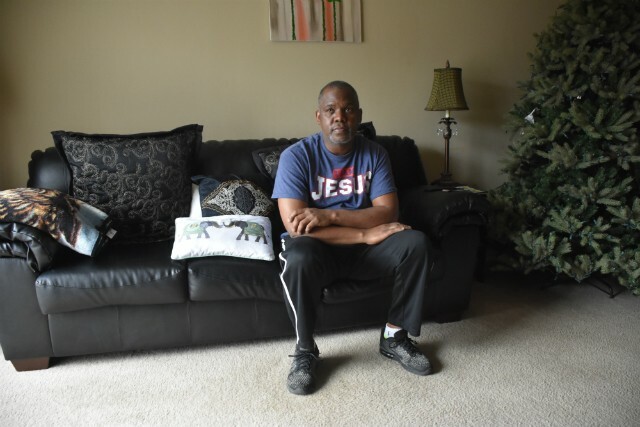 Steve Miller sits in an empty apartment after his wife was detained by ICE. Steve Miller touched down last week in Denver, checked his phone and learned his wife had been detained by Immigration and Customs Enforcement agents in St. Louis. "It's one of those case I can't even wrap my head around," Miller, 47, says. He was on a work trip, installing televisions in hotels. His wife, Ilsa Guzman-Fajardo, went on February 12 to what she thought was a check-in at the ICE field office in downtown St. Louis. In reality, ICE had chosen the day to act on a nearly twenty-year-old order of deportation. Guzman-Fajardo, 48, was separated that morning from her attorney and the immigration advocates who'd accompanied her, and then taken into custody. When Miller exited the plane in Colorado, he saw the text from his wife saying that she had arrived at the ICE office. Then he saw a message from a church deacon, relaying the news that she had been detained. 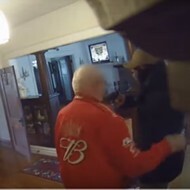 Miller's boss offered to fly him home, but he decided it was better to stay through Saturday and finish the job, rather than pace helplessly around the couple's empty Creve Coeur apartment. Now that he's back in Missouri, that's exactly what he's doing. Yesterday afternoon, the roses he bought Guzman-Fajardo for Valentine's Day sat slowly dying in a vase on their kitchen table. 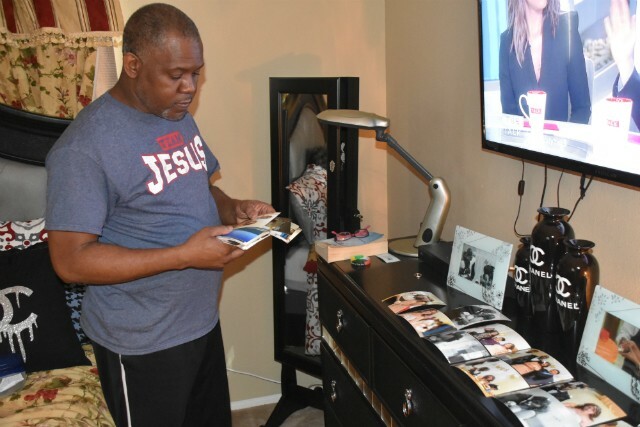 He has laid rows of photos from their wedding last year on the dresser in their bedroom so he has someone to greet when he wakes up and goes to bed. "To be here and not have her here," he says, "it's a hurting feeling." Originally from Honduras, Guzman-Fajardo crossed the southern United States border in 1999 into California and asked for asylum. She was to appear at an immigration court, but the notice she was issued didn't tell her when. In blanks for the date and time, the documents say "on a date to be set" and "at a time to be set." When Guzman-Fajardo subsequently missed court, a judge issued an order to deport her. 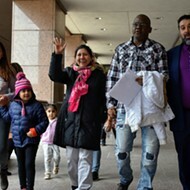 Her attorney, Evita Tolu, argues in an emergency motion that the court date and time were critical and that the original case should be reopened and deportation order rescinded. Guzman-Fajardo moved to St. Louis in 2000 and has lived here ever since — something ICE has known all along, Tolu says in the court filing. In 2014, ICE agents went to her job at a nursing home and took her into custody. It is not clear what prompted the visit, and an ICE spokesman says he is not sure. But she was ultimately released for "humanitarian" reasons — specifically, that she had a United States-born son who was a minor at the time. Miller says he and Guzman-Fajardo met in approximately 2015 while they both worked at a nursing home. He was in the dietary department, and she was part of the cleaning crew. They dated for three years before marrying last June in a Bridgeton church. 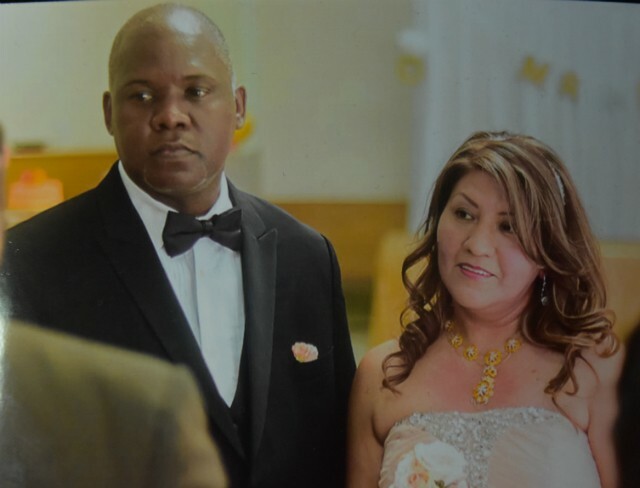 Steve Miller and Ilsa Guzman-Fajardo were married last year. They work odd hours as they juggle multiple jobs. Most days, Guzman-Fajardo leaves about noon to begin cleaning the first of three houses scattered across west county. Once she's finished with the houses, she heads to Fox 2's headquarters to clean offices, returning home about 10:30 p.m.
Miller says he gives her a massage, and they stay up until 2 or 3 a.m., talking and joking before they read the Bible and go to sleep. Now, he's not sure what to do. After they were married, the couple sought permanent residency for Guzman-Fajardo. That application is still pending. She had separately petitioned the court to reopen the original case from 2000, but that request was denied in December. After that, ICE agents were obligated to carry out the deportation order, the agency spokesman says. Her son is now eighteen. The spokesman says there is no more reason to delay. Guzman-Fajardo had continued to make her monthly check-ins with an ICE contractor. (The ICE spokesman says she has missed two in recent years, but her husband and advocates who accompanied her to check-ins dispute that.) She has also worn an ankle monitor for about two years and endured weekly home visits, Miller says. 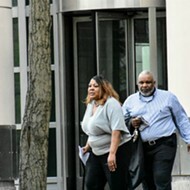 All this time, she has worked, paid taxes and committed no crimes, according to her husband and attorney. "She did nothing wrong, but the government, they don't care," Miller says. She is being held for ICE at the Pulaski County Detention Center in Ullin, Illinois, just across the border from Cape Girardeau and about 150 miles from home. Miller says she was transported on Tuesday back to the St. Louis ICE office, kept in a cell for a couple of hours and then driven back to Pulaski without explanation. Yesterday afternoon, Miller fielded a phone call from his wife, telling him she was back in St. Louis at the field office. He says ICE is trying to get her to sign paperwork, approving her deportation, but that her attorney has advised her to sign nothing. "Right now, it's just a waiting game," Miller says. "They've got her downtown. They won't let me see her. It's like, 'Really?' Did she rob a bank? Did she murder someone?'" Her story has begun to spread. Miller says he has been told by Guzman-Fajardo's family in Honduras that the news has reached that country. They worry that if she is deported people there may think she has money and come after her. 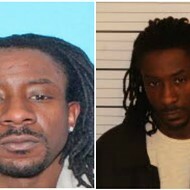 He tries to keep his thoughts positive and focus on getting her out of jail. He has visited her in Pulaski and says it is devastating to see the sadness in her face. "She's coming home," he says. "I believe she's coming home. I have to be that way."